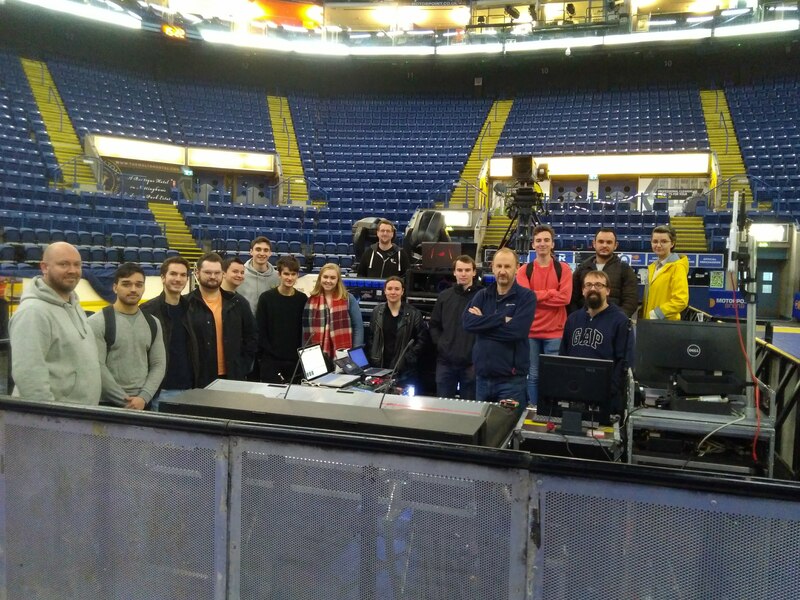 A group of Derby Entertainment Engineering students recently had the chance to get a behind the scenes tour of The Prodigy‘s latest touring production when they were at the Motorpoint Arena in Nottingham last Saturday. The group consisted of students from all years on the BSc (Hons) Sound, Light and Live Event Technology, BSc (Hons) Broadcast Engineering and Live Event Technology and MSc Audio Engineering courses. 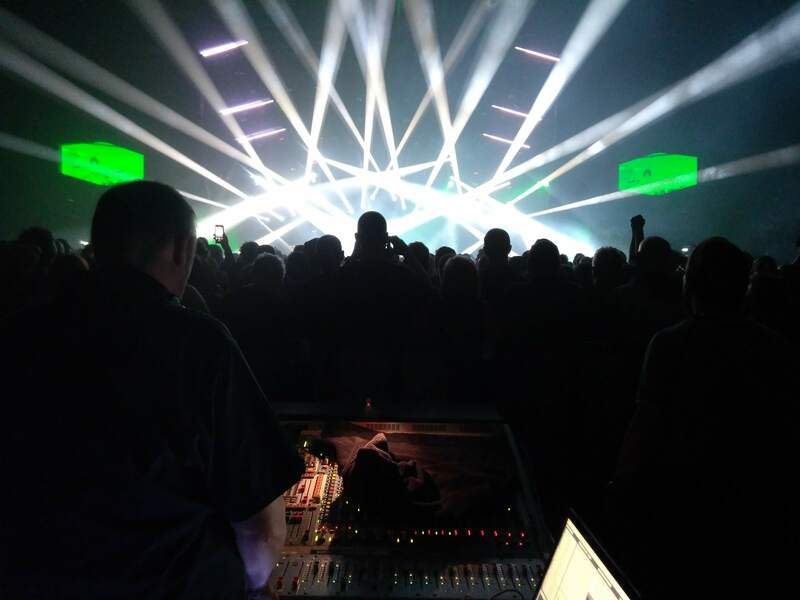 The Prodigy’s long-time FOH engineer, Jon Burton, explained the entire sound system to the group, including what went into the design and various compromises that had to be made to ensure the solution was practical. The system consisted entirely of d&b speakers (SL & J-series), driven by Jon’s Midas XL-3. Derby graduate, Tim Fawkes, was designing and operating the lighting system for the tour. For the students who were interested, Tim explained the lighting system and showed them some of the innovative approaches he was using for this production. Lecturers Adam Hill and Bruce Wiggins stayed on for the show , as Adam had helped to inform the subwoofer system design for the tour, using some of his recent research into the area. Big thanks to The Prodigy crew for having us over!